With Palestinian Authority leader Mahmoud Abbas and Israeli Prime Minister Benjamin Netanyahu both addressing the United Nations today about the Palestinian demand for statehood, UJA Federation is providing this analysis of fast paced developments from Shimon Fogel, CEO of the Centre for Israel & Jewish Affairs, the advocacy arm of Canada's Jewish Federation network. This week, the Palestinian Authority has asked the United Nations to pass a resolution recognizing a Palestinian state, whether directly or indirectly. President Obama has long opposed this initiative, stating in a speech last May: "Symbolic actions to isolate Israel at the United Nations in September won't create an independent state." 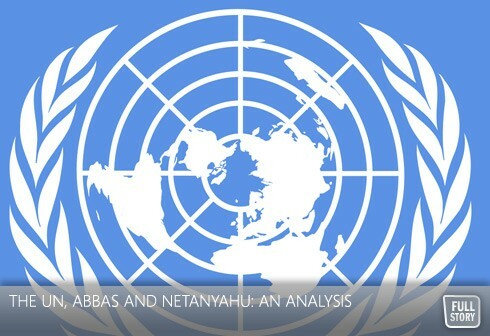 The UN bid is aimed not only at providing the Palestinians with additional resources to isolate Israel on the world stage; it attempts to overturn the very foundation of peace in the Middle East. Since 1967, when the UN Security Council passed Resolution 242, international law requires a clear trade-off before a Palestinian state can be established. The Arab, and now Palestinian, leadership is to provide Israel with peace, security guarantees, and an end to the conflict. Then, and only then, is Israel to withdraw from territories slated for a Palestinian state. The extent and conditions of that withdrawal, along with all other issues, can only be determined through direct negotiations between the two sides – and not imposed by external parties. In separating Israeli aspirations (for peace) from Palestinian aspirations (for a state), this effort directly contravenes the established peace process – and will do nothing to advance either of these two goals. This is why Canada is vigorously and unequivocally opposing this resolution at the UN, a principled position that has cross-party support on Parliament Hill. Both the Conservatives under Prime Minister Harper and the Liberals under party Leader Bob Rae have taken a strong stand against the UN bid, and both have urged the Palestinians to abandon this reckless path and return to negotiations with Israel. The NDP's position remains unclear at this point, despite repeated statements from former Leader Jack Layton and current Leader Nycole Turmel that peace talks are the only way forward. 1. The Palestinians may submit a request to the Security Council (via the Secretary-General) for full membership – a decision that only the Security Council can make. If 9 of the 15 member states vote in favour of Palestinian membership, it is awarded. However, the United States has announced that it will veto such a decision. Most analysts believe President Obama would prefer not to issue a veto, but is certain to do so if it comes to this point. 2. Upon receiving such a request from the Palestinians, the Secretary-General is to forward it to a committee of the Security Council for review prior to a decision (unless the Security Council waives this study). Such a review could take months or longer, providing a window for the resumption of Israeli-Palestinian negotiations. This option would enable the United States to avoid using its veto, preventing a direct confrontation at the Security Council which could be used as an excuse to inflame tensions in the Middle East. For Palestinian Authority President Mahmoud Abbas, it would enable a return home with a symbolic achievement in hand: an application for statehood pending at the Security Council. 3. In addition to the Security Council, Abbas has the option of separately approaching the 193-member UN General Assembly. While the General Assembly has no authority to admit new members without a prior recommendation from the Security Council, it could pass a resolution upgrading the Palestinians' status from observer to non-member state. This is an initiative that France has called for, which would provide the Palestinians with a status similar to that of the Vatican. This would almost certainly pass at the General Assembly, providing the Palestinians with a less meaningful, but still symbolic, victory. It would also entail access to various institutions, such as the International Court of Justice (ICJ) and the International Criminal Court (ICC). The Palestinian leadership is likely to attempt to use these institutions in the future to "internationalize" the conflict, by targeting Israel and individual Israelis for prosecution. It is important to note, however, that experts are uncertain as to how impactful such an effort would be. Things remain volatile in the Palestinian territories, with West Bank demonstrations at this point largely contained by Israeli and Palestinian security forces. Like events at the UN, the situation is fluid and the coming days will be critical.